Motivated seller! 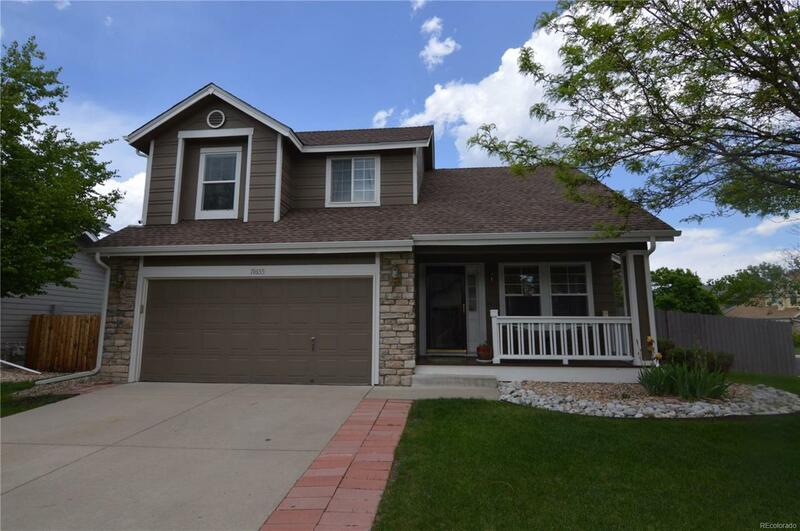 You will not want to miss this perfect 4 bedroom in Parker. Corner lot, mature trees, landscaped and charming front porch. Gleaming wood floors, vaulted ceilings, double pane windows, remodeled, open floor plan, 2 fireplaces. Kitchen has matching stainless steel appliances, eat in area, granite counter tops, tiled back splash. Finished basement with a fireplace. Tons of upgrades in this home. New roof and exterior paint. Big fenced in backyard with patio perfect for entertaining family and friends. One year home warranty included! This beauty won't last long, book your showing today! Association Name Primary Stroh Ranch Community Assoc.